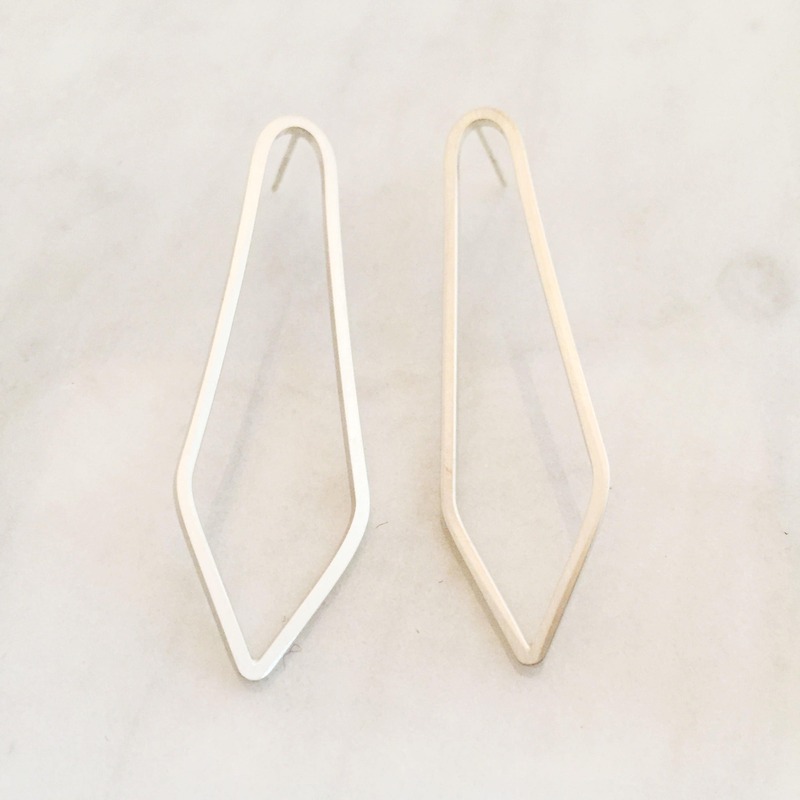 Long geometric studs handcrafted from square wire. Around 2" long. 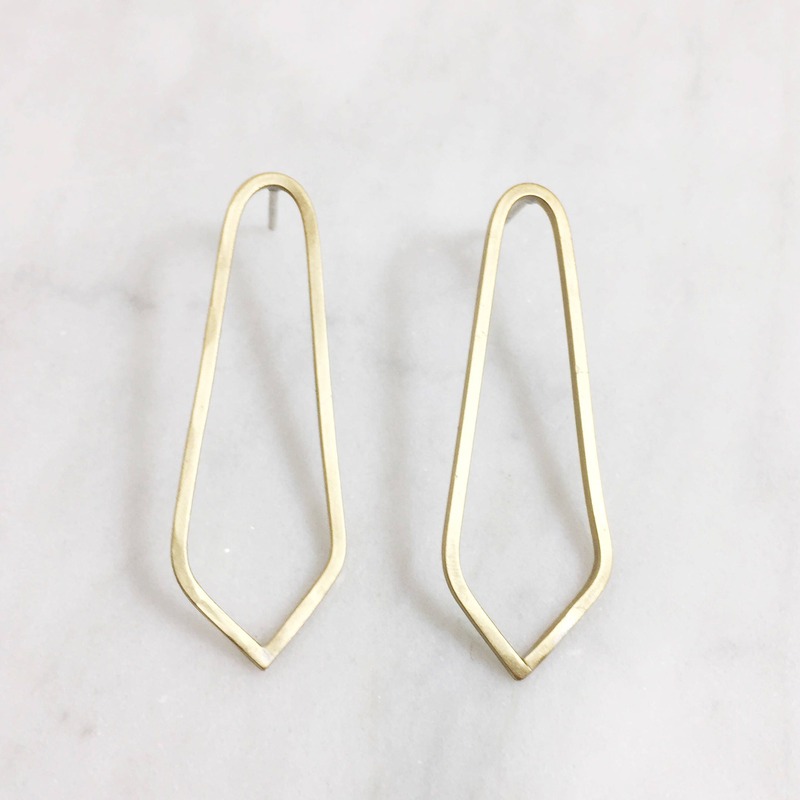 Choose from sterling silver or brass. Both have sterling silver posts and backs.